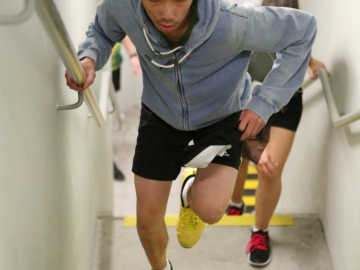 What is actually better for you? Enhanced Water vs. Plain Water? 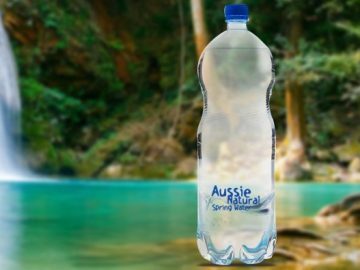 Aussie Natural > Blog > Enhanced Water vs. Plain Water? What is actually better for you? Enhanced Water vs. 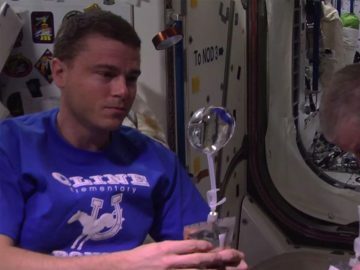 Plain Water? What is actually better for you? Whatever happened to just plain, old H2O? Nowadays, it seems like supermarkets, ‘health experts’ and online retailers are trying to tell us we need more. If your water does not contain 7 secret magical ingredients, it’s suggested that it not quite good enough to quench your thirst and stave off dehydration. This promotion of ‘enhanced water’ by supposed ‘experts’ over regular water, can sometimes blur the line between actual information and pseudoscience. So, what do these enhanced waters actually contain? Are they of any benefit? Or, maybe you really are just better off filling up a water bottle. Vitamin water, or “nutrient-enhanced water beverages”, are flavoured, water beverages that have had a slew of vitamins thrown in, from vitamin a to b, to you name it. Promoted to help enhance your focus, or energise your mind, the reality is these types of drinks tend to contain enough sugar to be the equivalent of a soft drink. The number of vitamins that the body could process from these drinks, could be equivalently gained from a normal, healthy diet. You may have seen a picture or two lately on Instagram featuring a model touting the hydration benefits of coconut water. In vogue, and enjoying its fad status, coconut water is marketed as a healthier alternative to other bottled beverages, and a quick way to rehydrate the body. While it does contain some useful nutrients such as calcium, magnesium and phosphorous, they’re in amounts smaller than those found in fruits and vegetables, and there’s no evidence it lives up to other claims such as assisting in weight loss, improving skin tone and helping with digestion. It doesn’t offer any advantages over sports drinks or regular water for performance and rehydration during or after exercise. Balance is a range of non-flavoured waters containing flower essences, with varieties designed to promote health and well-being through stress relief and relaxation. The company makes no attempt to substantiate its claims, rather it states: “Like many homeopathic remedies, most of the scientific evidence to date is anecdotal and based on case studies.” In other words, there’s no actual scientific evidence. In the end, and after all the hype and marketing spin, you might not only be better off drinking plain water over enhanced waters health-wise, finance wise it definitely will save you a few. So, to stay hydrated and to save yourself a few bucks, why not try and fill up your favourite water bottle with some good old H2O and leave it close by while your working, or exercising, or just going about everyday life. For ease of use and no spillage, the Camelbak water bottle can be a lifesaver. 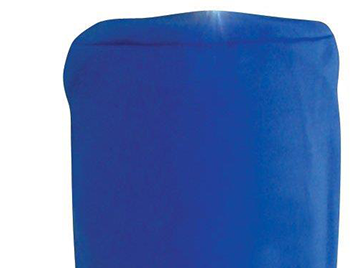 Featuring a leak-proof cap that delivers a high flow of water without sloshing or spilling, the spout cap snaps into handle to prevent it from getting in the way when drinking. 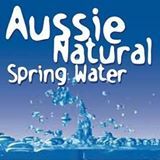 At Aussie Natural, the team is dedicated to bringing convenience and quality into your life for all your spring water drinking needs. 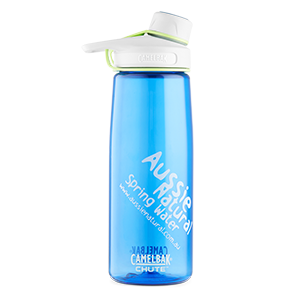 Camelbak water bottles, available in multiple variations & colours, so you can enjoy our spring water in your own style. Call our team today, on 1300 360 332 to find out more information on our Camelbak water bottles, to find your perfect match, and stay hydrated on the go.